Happy November everyone! Can you believe it is here already? To celebrate, a few things are going on: First, the bloggers of I Teach K-2 are getting together to share ideas, resources, and bring you a fun giveaway of 5 $25 TPT gift cards! Read on to see how to enter and how to hop to the next blog in line! Second, any of my November themed resources will be on sale at TPT. And I also have a bunch of FREEBIES, by the way- plus if you follow the link up, everyone involved has a freebie for you! Finally, I have a few tips on how you might be able to survive November! Let's start with some tips for you, the teacher! Seriously. No matter where you are, the temperatures probably vary a lot in a 24 hour period. Some of you have air conditioning still on in schools, and if you're like me, you have heat blasting at you all day, sometimes full force, but sometimes, it does not work well and you are freezing in your classroom. So layer up! Short sleeves or long sleeves, sweaters and jackets are your friends, as are scarves to keep your neck warm when it's chilly and then you can ditch them when it heats up. Try to get some sleep and stay active outside of school so you can beat germs and stay healthy if possible (sometimes it's just not, right?)! For some children, (and let's face it, adults), the holidays are very stressful, and Thanksgiving is the start of an extremely difficult period. Things at home may be challenging, or maybe they fear not being able to celebrate Thanksgiving and Christmas at all. School might be the stable place they count on, and they face 5 days or more of no school at the end of the month of November and a week to two weeks off in December. It might be tough for some children and they might show anxiety or stress in the classroom. Consider keeping things as normal as you can in November and December, despite the unending possibilities of holiday classroom fun, and thinking about keeping as many of your routines as you can the same to help support them. I mean, it is still early in the year and December looms large. Pace yourself. Set realistic expectations for your and your class. I know at the end of November I have to do report cards, and sometimes I get discouraged until I remember it is still VERY early in the year. Be kind to yourself and your kiddos. Now, let's talk about what you can use in your room this month. So let me share with you what is available for you and your class, and yes, I have a bunch of freebies! For any item, click on any image to see it at Teachers Pay Teachers. 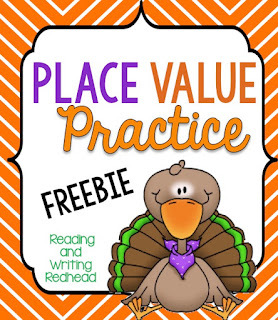 Click here to get the FREEBIE sample of the Place Value Practice pack and see if it will work for you and your class! 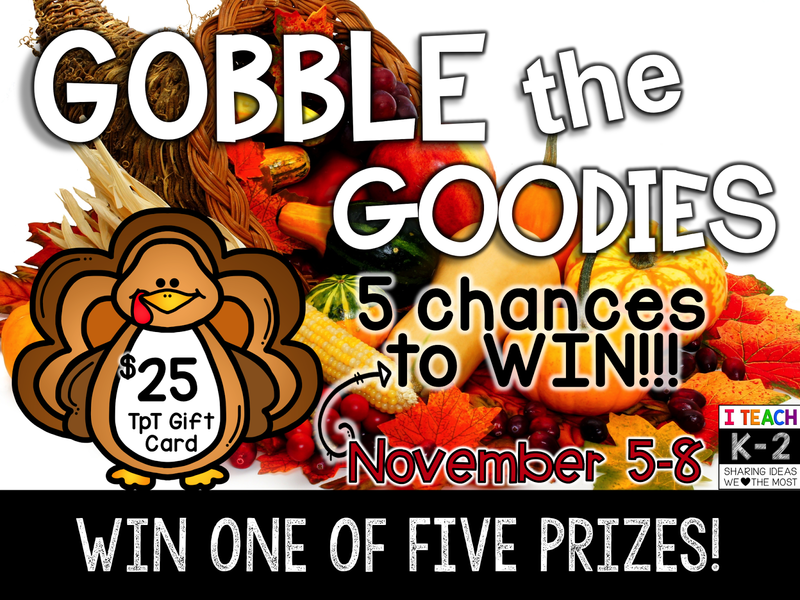 And here is another FREE product that has compound word practice with a Thanksgiving theme! 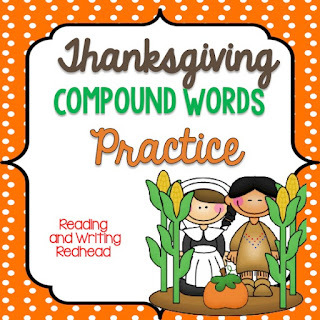 Thanksgiving Compound Words Practice has a cut and glue activity and a compound word game too! 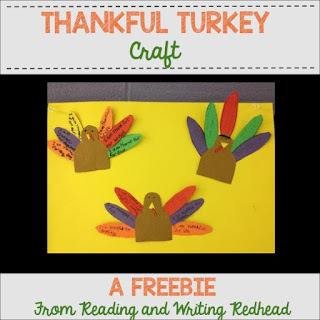 Try this FREE Thanksgiving Thankful Turkey craft! Pretty self explanatory from the image below. Click here to take a closer look! 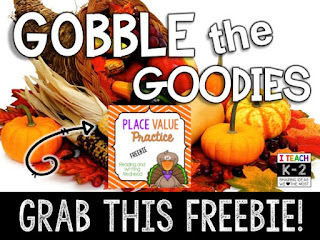 Next is a turkey themed place value practice pack for your students to practice working with ones, tens, hundreds, place value blocks (base ten blocks) and more to get them comfortable with all things place value! 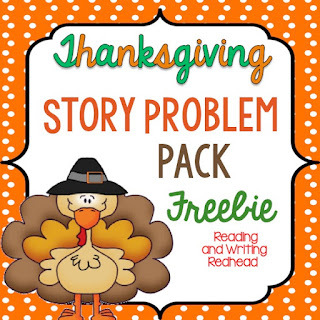 The Thanksgiving Story Problem Pack FREEBIE is a sample of story problem practice pages you will find in the Thanksgiving Math and Literacy Pack. It has a cut and glue format where kids match up the story problems with their answers and glue on a record sheet. 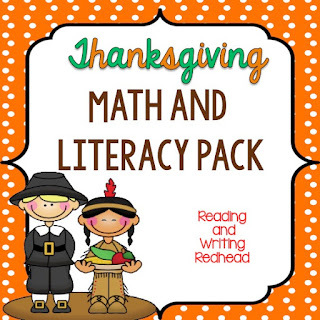 The Thanksgiving Math and Literacy Pack has tons of great activities for November. 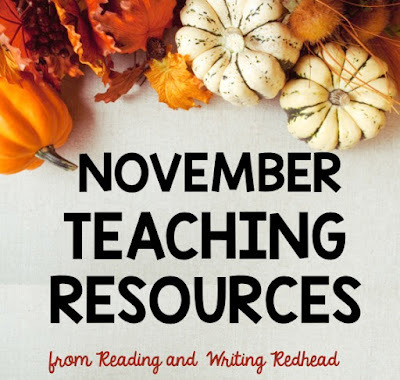 It contains odd/even Riddles, compound word practice, place value practice, addition and subtraction story problems, math task cards, Thanksgiving themed morning work, and ABC order practice. Here are just a few samples! Have you tried any of these fall products? Or do you have a favorite from somewhere else you'd recommend? Thanks for joining me for the Blog Hop, the tips, resources and more! Look for the rafflecopter just below so you can enter the giveaway! Now it's time for the giveaway and below, you can see who else linked up and is participating in the giveaway! Wow! Thank you so much for the kind words Wendy! What important and kind reminders, Bex! Thanks for sharing! Thanks for sharing some wonderful Thanksgiving ideas! You're very welcome! Happy November! Thank you for visiting and for commenting! Such great tips, thank you for sharing everything! Thank you very much for stopping by Fern!